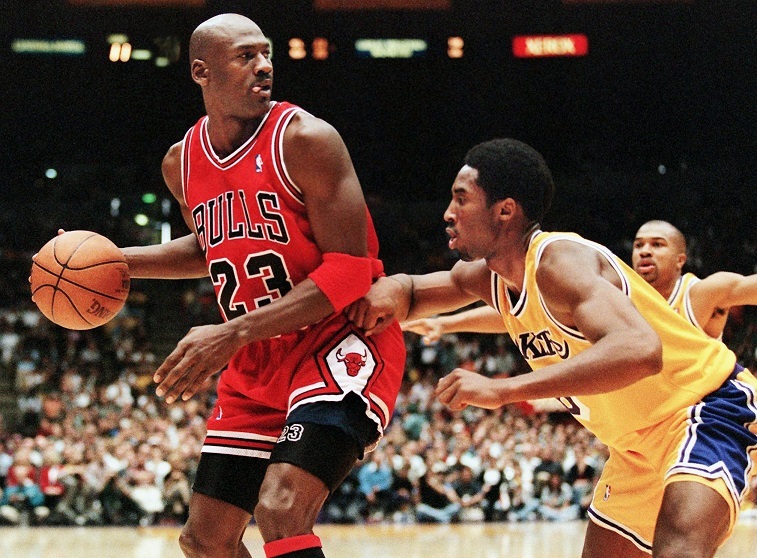 LeBron vs. Jordan: Who is the Better Basketball Player? 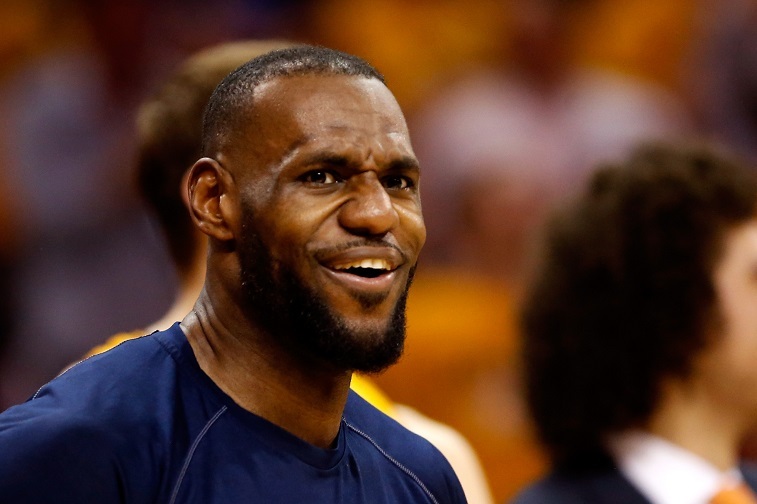 LeBron versus Jordan — is this kicking a dead horse? Two of the game’s indisputable greats, playing in quick succession, being compared over two decidedly different eras of NBA basketball, and the one that is better is largely determined by which one you prefer, right? Wrong. While we’d never feel 100% comfortable making the claim that Jordan wasn’t the greatest player of all time (thanks, Nike), there’s some evidence that LeBron has, at this point in his career, been a more singular force than His Airness. Take a breath before you keep reading. When Jordan was 30 years old, he was in the middle of his ninth NBA season, the 1992-1993 year that would see Chicago take home their third straight NBA championship. When LeBron James was 30 years old, he was set to face the Golden State Warriors in his fifth straight NBA Finals appearance, a culmination to his 13th season playing basketball at the highest level. Statistically, the two players are largely a wash, with Jordan holding an edge in shooting and James holding a slight edge everywhere else. It’s worth noting that James has outpaced MJ in raw numbers, but that’s to be expected when you consider that LeBron has logged nearly 10,000 more minutes of regular season play than Jordan had at that same age: a byproduct of going straight to the pros rather than playing in college. So, if the numbers are subject to variables that make them suspect, we should look at accomplishments, right? To writ, LeBron has four regular MVP awards (and you could make a strong argument that he missed out on another four because of voter fatigue — either way, there’s little doubt that he’s been the best player in the league every year he hasn’t won the award), two Finals MVP nods, a metric ton of All-Star appearances, All-NBA, and All-Defensive nods. He has been to the Finals five times and has a pair of rings to show for it. What did Jordan have at 30? Interestingly enough, Jordan’s 30th birthday coincided almost exactly with the second era of his play — it was February 17th, 1993, or right near the midpoint of the last season he’d play in the league before taking a year off to pursue his passion for minor league baseball. To that point, Jordan would amass three MVP nods, a comparable number of All-Star and other All- awards, in addition to three rings: three rings in three tries, and never needing a Game 7 to finish off a series on the NBA’s biggest stage. For many Jordan fans, this is the most enduring fact. The man did not lose when it counted. That he was an insane competitor hiding behind the game’s greatest marketing machine of his time only adds to this legend. This cuts both ways. We can’t imagine Bill Laimbeer is coming from an objective place when he says that he’d take LeBron “no question” over Jordan, even if his point, that “[t]he triple threat that [LeBron] poses is just phenomenal, and then the size that he’s got,he just physically dominates” is valid. For every people who laced up Nikes wanting to be like Mike, there are people who will forever think MJ is overrated: the guy that made superstar rules the norm, rather than the exception. This is heresy to the conventional narrative, where referees are impartial and Jordan was basically God in high tops (he is, by the way), but its worth noting that MJ was universally lauded in a way that LeBron never was. Call it the Internet’s influence, but to this point LeBron might have had a better career than His Airness, and none of us are ever going to admit it.